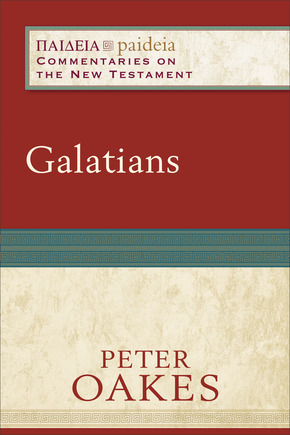 Alright folks – I got an extra copy of Peter Oakes’ brand new Galatians commentary (Baker, 2015) and I am giving it away for free. #3: Copy your tweet into a comment on this post, along with the US state you live in. While everyone is welcome to tweet (please do! ), I can only give the book away to someone in the contiguous US. Ah, Dr Gupta, yer killin’ me! What about those of us who’ve still been able to avoid tweeting? Ha, Craig! You rebel. Sorry, no luck. I neither tweet nor live in the US, contiguous or otherwise. I’m going to cry. Sorry, Terry. Rules are rules. Congregants should leave their cell phones in their car and dress respectively. Beachwear is inappropriate as is leaving the service early to drop by the liquor store and be home for the 1 PM football game. ooops – that should be respectfully I think. I have a Bible genre cartoon about Paul. How can I send it to you to see if you may use? If you think circumcision is what puts your faith on top, then I pray that the knife goes ahead and drops! Peace! For the purposes of this contest, I’m in MA (Barnstable, if you want me to be more precise). I tried clever but all my attempts look lame, so I will go for accurate (I hope! ): #Galatians #WWPT The apocalpyse has happened! A sinner like me no longer wants to live for myself or the law but for Christ crucified! I live in Chicago, IL! –Chicago, IL & Bonus points if you can name the two movies quoted above!! !